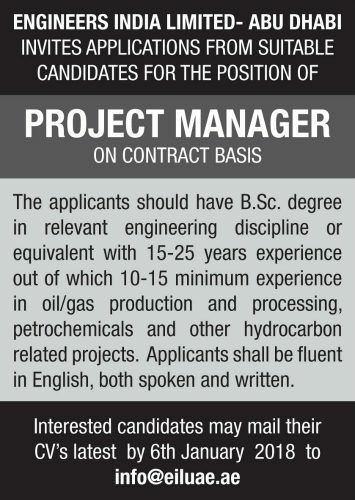 The applicants should have B.Sc. 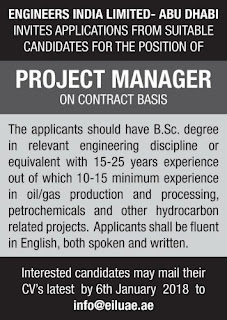 degree in relevant engineering discipline or equivalent with 15-25 years experience out of which 10-15 minimum experience in oil/gas production and processing, petrochemicals and other hydrocarbon related projects. Applicants shall be fluent in English, both spoken and written.